Aging is an undeniable part of life that may blossom if you embrace it willingly. All living beings have to go through this degeneration phase if they are blessed with full lives. Our furry friends also have to become senior after the well spent years. But, let’s admit it; nobody likes to see their pets departing. If somehow we could stop the ripening of age and keep our cute little fur babies with us forever! Unfortunately, we cannot do that. However we do have a choice to delay the abrupt death of our pets by being proactive and take care of senior dog emergencies. If your pawed companions are dealing with a senior age, then it is important for pet parents to stay prepared for any prompt health issues. You may have to lose your pet if you are worked up at the last moment to find the vet’s number in emergencies. 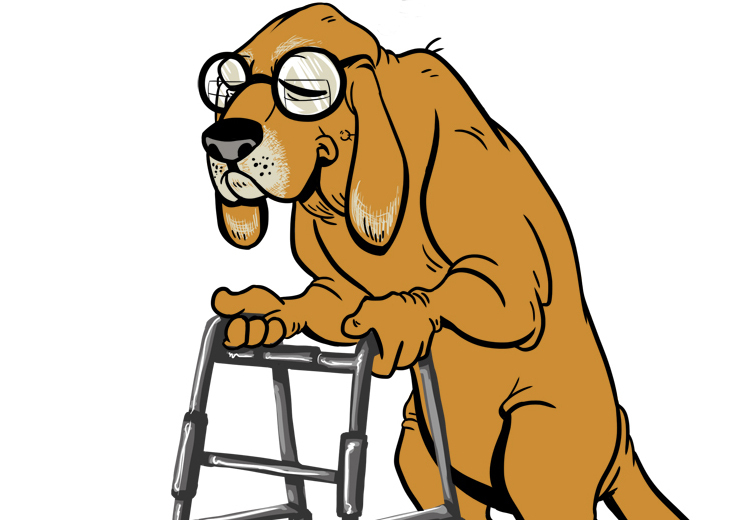 Your senior dog may need the vet’s advice anytime. So, the best thing would be to stay prepared for any situation, mentally, physically and financially. Let’s have a look at some safety measures that could help you in senior dog emergencies! Call your vet and ask about their holiday hours. Do they provide any on-call or emergency service for holidays? If they have a different number, don’t forget to take a note of it. Make multiple copies of this number, for fridge, notepads, diaries, and for your mobile phones. Ask about the off-duty charges to your veterinarian. Take a note of it along with the contact number. Make your doubts clear on the mode of payment with your vet. Are they providing the facility of home visit for the on-call vet? If they have any such facility, take a note of their charges, names and the mode of payment. Before any holidays start, ask your vet to e-mail your dog’s medical history. It will make easier for another vet to deal with your furry friend. Collect all these information and keep it handy. If they accept debit or credit card payment, then you don’t have worry about it. But, if they don’t accept credit and debit cards, keep the cash or check ready. This will save your time and you won’t have to fumble for these important things at emergencies. Overall, being proactive can help your senior dog live longer. Keeping these things handy will keep your loveable pooch around you for a longer time. So, make notes of these details to keep the emergency hazards at bay.